Thanks for the info Tantus. I'm eager to see more and get in there. In brief, I think an experience will become profitable by allowing you to charge subscriptions to players. Or, you create the experience and lease out space to other builders. In an RP environment, the experience owner sets the rules and creates the central zone. Then groups of players rent large parcels of lands to build their space. And you potentially have 256 sims worth of space to lease out. I am hopeful it does make running a RP sim profitable, for those willing to go into it as a business, and run it as a business. For some RP sims, though, Gor for example, if such a thing does become profitable, it doubtless would show up on the radar of copyright lawyers, unlike the relative obscurity of a sim somewhere in the wilds of SL. Copyright always throws a monkey wrench into the joys of technology.. I honestly can't imagine paying a subscription fee for an SL RP sim. SL RP sims have really poor environments and no stability, and are usually run by amateurs who are there for ego, not success. MMOs that are run by companies have enough checks and balances that the failures are standouts. I would be shocked if anyone beyond a couple people would be willing to shell out -anything- resembling a monthly fee for a sim when the chances are it'll be gone in a couple months. Most sims can't even turn a profit from donations and rentals, or get close to covering costs. You then -demand- that? Yeah, no. The Mars pic appears to have a dusty fog effect going on. It's a simple build with sandy terrain, mesh rocks and structures, but the environmental effect makes all the difference. Apparently both settings took a 'few hours' to make and that's going to be Sansar's selling point. I've been following Sansar news avidly. The main take-away for me is that they're going in a much different direction than Second Life, more like a game engine like Unity or Unreal than the metaverse we're all used to. The focus seems like it will be more on individuals buying/renting and creating "experiences", complete with forced limitations (like if it's a space 'experience', when you enter it you are wearing a space suit, the lighting is set to dim, the movement is a moon walk animation, etc.). I think those of us used to concepts like virtual 'land' that is perpetual, and the mainland concept, and being able to retain control over our avatars, Windlight settings, etc. will find that Sansar is very different, depending on how the individual creators decide to utilize their tools. Will it be better than SL? It's almost like comparing apples to oranges at this point, with what I've read so far. It has potential, for sure and I'll be reserving judgement till it's out and I've played around with it but I can't say I think I'll be ditching SL for it. My hopes are that once it's out- SL will drop the astronomical prices on land to something more manageable, or that Sansar's pricing will be tempting enough to make me want to try to run something there. Can't say I'm too jazzed about giving up a 116k item inventory, though. Those are some fairly critical blog posts and whilst they're right to say there's nothing amazing in Sansar's teaser pics, they're missing two important points. LL isn't marketing it as a game engine to rival the Triple A club and the visual fidelity will be modest too, if they're to maintain 90 FPS on regular gaming PCs for the sake of VR. CryEngine, Unity and Unreal have been struggling for market share, the latter two first reduced their pricing and then became free to use. CryEngine actually went under and froze salaries until Amazon stepped in and bailed them out. It wasn't charity, a year later Amazon announced Lumberyard, which is just a modified CryEngine with integrated Twitch and AWS(Amazon Web Services). Add in the rumours of Valve's Source 2.0 engine and everything else in the pipeline then the market will become saturated in the next decade, but it's not there yet. In the meant time Project Sansar won't be a game engine as such, it's a stepping stone. How many people entered Second Life, learned to build with silly plywood blocks, then realised they had a talent for building and became bona fide content creators. If you sat those same people infront of Blender or Maya and some Triple A game engine, the odds are they would become overwhelmed by the interface alone before anything happened. Sansar will have a higher learning curve, with custom Mesh, animators and C# developers in high demand. But still possible for a small group/individual to build their own experience. The reason you would consider Project Sansar over a proper game engine is the ease of distributing your experience to the public. No more Steam Green Light'ing, or promoting your game through every Indie channel in the world then spending the next 2 years fixing multiplayer bugs and server issues. The bulk of technical issues and support are managed by LL, creators focus on the content and let consumers run it on their own 'sims'. No other game engine is holding the developer's hand all the way through to distribution and beyond. I personally feel the next evolution of PC gaming will be like this, a single application to install, one account, one group of friends. And when you login and see who's online, you have that freedom to drop into an RP sim, or switch it up into a gaming sim, or turn it down to some place atmospheric. SL does it well with the RP and environmental sims, but fails with gaming. In a world where Mad Max(2015) can win Oscars, it's obvious that flash CGI and AAA+ visuals without the content is what most people want. Great. I'd rather watch Max Max (1979) again and experience games with some substance to them. Like a recreation of Skyrim, with taverns populated by real players and you can walk in, roleplay, build together a party, mount your horses and ride through the world(no immersion-breaking fast travels! ), dismount, assault the sentries and then enter the instance. Taking your time through it with some RP along the way. Maybe it's dangerously geeky, but most games are lacking in player interaction because they cater to teenage attention spans and flash effects alone. Sounds like they're trying to recreate the aspect of user-ran cities in Star Wars Galaxies. An MMO without quests, basically. I don't see the concept lasting very long. It's impossible to optimize SL. As Anarch said, everything would have to be pre-rendered, but it is impossible to pre-render user-made objects that are created daily. Signups for Sansar's Creator Preview are now open. I haven't noticed much news otherwise in the past months. So... at the Game Developers Conference back in March, both Unity and Unreal showed their Virtual Reality editors. I figured we'd soon see a similar demo for Project Sansar, which is linked below, and looks far less convincing than the other two. Skip to 11:15 for the VR Editor. At 12:40 there's some new Sansar footage. How many avatars will a single instance in Sansar support? Currently, around 30; overall aim is for “multiple hundreds” within a single scene. What are the graphics card requirements for Sansar? Will it be the GTX 970? The GTX970+ is an Oculus / Vive requirement. Sansar desktop specification still to be finalised. Will we be able to make actual NPCs? Yes, in time, but not when the doors first open for general access at the end of 2016 / start of 2017. General Comment on Sansar Capabilities / Functionality: Lab currently focused on content creation & manipulation. Functionality and capabilities will grow, but too early to say exactly when X, Y, Z will be possible. Will Sansar have its own Terms of Service, or will the current ToS cover both Second Life and Sansar? Separate, and being drafted. In the future, it may be unified to cover Sansar and SL, but right now too early to tell. Names and identity in Sansar: existing SL user names have been reserved for their users in Sansar; for new users, Sansar will lean towards wallet IDs, but will allow pseudonyms & people will eventually be able to have multiple roles / personas. Facebook authentication likely possible for those who wish to use it. When will people know if they’ve been accepted into the Creator Preview? Access should start in late July / August, and ramp from there. Will people only be able to use credit cards in Sansar? It will more than likely support a virtual currency, like Second Life. How much will owning space in Sansar cost? Too early to commit to numbers. There are many variables, and things liable to experimentation. For now, the am is “substantially lower” than land in SL. When will Mac users be able to get into Sansar? Probably when Sansar opens the doors at the end of 2016 / start of 2017. 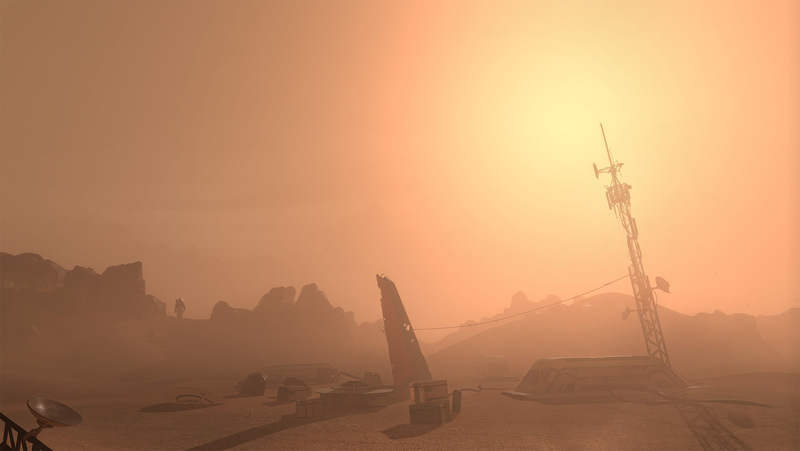 New post on New World Notes- comparing one player's experiences with Sansar vs. Second Life.